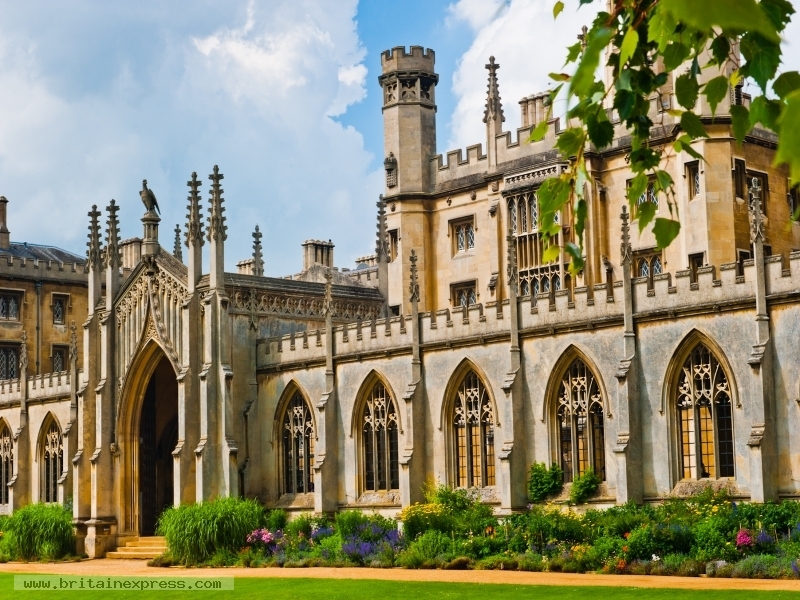 St John's College was founded in 1511, on the basis of a 13th century hospital. The oldest buildings lie on the eastern side of the River Cam, but if you cross the river (via the covered bridge known as The Bridge of Sighs), you come to this imposing neo-Gothic building, New Court, designed in 1831 by Thomas Rickman and Henry Hutchinson. New Court was the first major college building to be erected on the west bank of the Cam.